Dave Merrill joined organized anime fandom in 1984. In 1986 he helped found the Atlanta chapter of the Cartoon/Fantasy Organization, and the next year was appointed secretary of the national C/FO. He was a charter member of the seminal anime club Anime Hasshin and a frequent contributor to its newsletter The Rose, as well as the EDC fanzine NOVA. In 1990, Dave Merrill and Lloyd Carter started the Anime-X club in Atlanta, an anime club that would last twelve years and act as the nucleus around which Anime Weekend Atlanta would form. Dave also published 12 issues of the anime fanzine Let's Anime from 1990 until 2000. In 1995, the first Anime Weekend Atlanta was held; Dave Merrill was chairman and president. 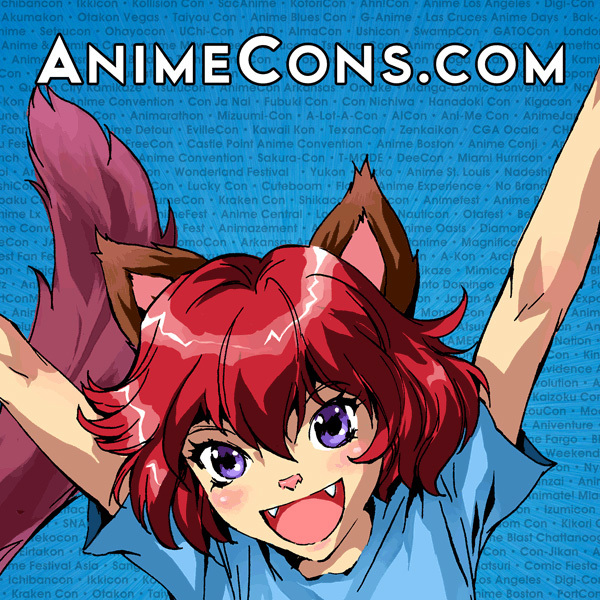 This convention is the Southeast's premier Japanese animation event. In the mid-1990's, Dave also worked on the Eternity Comics Gigantor adaption and wrote articles for the Starblazers comic published by Studio Go and Voyager Entertainment. Dave began writing an anime column for a local entertainment web site in 1998; by 2000 this column was appearing on the Anime Jump web site along with Dave's reviews of current and classic anime titles. Dave's work with the independent filmmaking group Corn Pone Flicks has included appearing in the films A Star Dipwads Christmas, Men in Black, Corn Dog Seven, The Phone, Pong, and many others. His parody subtitle scripts for Grandizer Versus Great Mazinger and Mazinger Z Versus Devilman have brought laughter to thousands. Dave Merrill is also the originator of the "Japanese Anime Hell" event now seen at many anime conventions. This blend of found video, parody commericals and productions, educational films, bad dubbing, and general audio/visual strangeness is a standing-room only event at conventions across the country. Along with Cheap Disposable Entertainment, 2002 saw the publication of Juku - A Comics Album; a 244 page book of comics by Ed Hill, Bruce Lewis, Dan Baker, Shaindle Minuk, and Dave. Dave's comics work has also appeared in the 2004 book Drunk Tank, a collection published by the annual Fluke minicomics festival, and numerous self-published comics. In the film Otaku Unite, Dave appeared several times and was only drunk in a few of the scenes. His collection of anime fanzines of the 70s and 80s was used extensively in the film. In 2003 Dave was married to fellow anime fan and cartoonist Shaindle Minuk. In July of 2004 they moved to Toronto, Ontario, Canada. Dave continues to write for Anime Jump and draw comics, and his involvement with AWA continues long-distance.